CAP Talk | General Discussion | Membership | Topic: Did anyone else feel the disturbance in the Force Saturday? Did anyone else feel the disturbance in the Force Saturday? of CAPR 35-5 from 2014.
an LOR for one person who I am happy to say received a well-deserved promotion. For better or worse, we'll start seeing a lot less Majors and Lt Colonels around these parts. requirement will be a gating factor, reducing the number of potential Lt Cols to less then 100 every year. A lot of my peers have resigned themselves to their current grade due to the RSC / NSC requirements. Re: Did anyone else feel the disturbance in the Force Saturday? Nice graphic (is that maroon?). I had an emergency mid week so I'm just starting to catch up, but yeah we had at least one deserving MAJ who was trying to get a PD rating approved in time to submit his Level 4 to then submit his LTC promotion... all with less than a week to go. While someone may be very deserving, at some point I'm not dropping admitting my spouse to the ER to spend time doing an "emergency" approval. "Poor planning on your part doesn't necessitate an emergency on my part", etc. But, far as I can tell, just one or two here. I thought about going that way, but in this case, just a poorly color-matched image. long-completed PD levels had to go through first. The typical hyper-active members with no time for their own PD. 11 August was the last day to submit promotions under the "1-Click" grandfather clause of CAPR 35-5 from 2014. 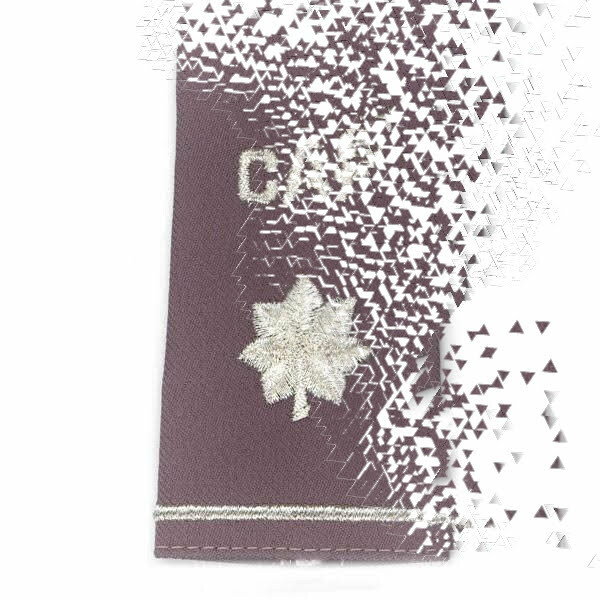 I finally made Major after 32 years as a Captain. What was holding me up was wing conference attendance. I have actually completed the requirements for Level 4, they just need to be documented. However I have no PME equivalent for Level 5, so I may well be a Major for another 32 years. Yeah... I'm reading a bulky inbox now trying to sort what all happened (in the midst of all the auto emails about aircraft status, funding changes/adds to support flying, requests for fund raising, SLS/CLC/TLC plans, etc.) and I'd like to hope that this 99th sheep hasn't gone irretrievably lost. I want to see if we can legally award L4 and promote, even if its past the date, as long as he had submitted by the deadline. Still, kids... "don't be that guy"! Vicarious learning! "Wing weenies" (for the most part) do want to help, but late submittals and failing to read the regs first make "no!" the default answer to send you back to the books when the rest of the team needs attention, and we can't afford scarce volunteer time trying to fix your (self induced) fires. UPDATED: SWEET! We got him Level IV, we got him Lt Col.
Don't you feel so much more Field Grade after that wonderful Wing Conference? (I hate CAP cons with a passion... very poor cost/benefit ratio, plus I'm not a real social butterfly). For the low low price of one conference, I too can get my railroad tracks! When I explained this process to an outsider with some understanding of military history, his response was: "So CAP is selling commissions? How very British Empire!" Shoot... now you're gonna have Brit in CAP weigh in on this like a ton of bricks. Or a Tonne. Or a furlong of stones (furstones? ), or whatever. What exactly does this mean? Not current, may be a year or three before I get back. Does it mean that I could regain my previous rank, a reduction, or starting over again? Nahh...I'm enjoying the read far too much. Plus...it's true! BITD (until 1 November 1871) that's what happened in the infantry and cavalry. restoration of grade for former members, it's in regards to increasing time-in-grade, as well as changing the PD needed to be eligible for promotion. up their PD before subsequent promotions. ^^^ Oh Man, I forgot about that too...more incentive to rejoin "I can't just wear my old uniforms." Protip: Don't let that membership lapse. Between taking unpaid time off work and the hotel, it cost me around $600. Not only that, but I didn't get to actually attend anything. I spent the entire conference in a meeting room turned into a closet issuing and receiving equipment. I think I understand now. Sorry, should have followed a few things, but this week was kiddo's birthday, so it's been a busy week. I'm trying to catch up a bit, but it may be a little while before I get back. Only those who are motivated by honoraria would likely feel the fabric of their being quake..